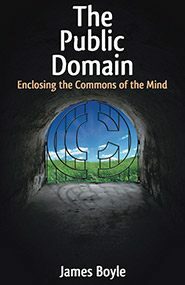 Jame’s Boyle’s new book The Public Domain is available as a free download as a drm free pdf. Clicking on the picture of the cover there will take you to the download page. I haven’t read it yet, but I wanted to let you know about it now and hopefully later I’ll have a nice review for you. If you absolutely have to read a review of the book first, read this one by Doctorow. Cascading Style Sheets are now the dominant method used to format web pages. Even something as simple as modifying a WordPress blog can involve digging around a bit in CSS. A quick search at Amazon on CSS returns over 7 thousand books in the computer category alone. This book claims to be the ultimate though, and that made me approach it with a bit of skepticism. Sure, it could be a decent reference, but is it truly the ultimate reference? I admit I was curious to see. I’ve been using WordPress blogging software for about four years now. I started messing around with themes pretty early on in the process. My approach has not really changed too much over that time span. I start by going on-line and just browsing through themes that are available to down-load and use. There are tons of them available and usually I’ll hit more than one that looks pretty good. I download it, and then I start messing with it, making changes so that it perfectly fits what I want. I am not really inclined to learn all about CSS, PHP or exactly how WordPress works. I just change, save and refresh and usually I eventually get where I want to go. But now, those days are over. Tessa Blakely Silver’s new book “WordPress Theme Design” has made it possible for me to quickly learn the basics, without getting bogged down in minutiae and tons of documentation. This has been a real life-saver for someone who just wants to knock out a nice WordPress theme. I do have to admit though, I’ve learned a number of things about web design that relate to quite a bit more than just WordPress. I’m a big Wil Wheaton fan. Probably the first time I ever saw him was when I went with my brother to watch Stand by Me at the movie theater. My next exposure, was of course, when Wil played Wesley Crusher on STNG. After that I mostly lost track of what Wil was doing. It wasn’t until a number of years later that I bumped into a post by Wil on slashdot, did some googling, and discovered his blog (currently though he blogs at WWdN in exile). Much like anyone else who spends a decent amount of time on the internet, I find myself turning to Wikipedia quite regularly. I am unaware of any resource as thorough or as quick for many of my information needs (or whims) on a day to day basis. Detractors point out that anyone can edit Wikipedia and this can lead to inaccurate information. For me, the open editing is one of the draws. I’ve been reading Wikipedia for some time, and each time I find myself thinking that it would be fun to be more than a passive consumer. There are a few topics where I might be able contribute in a meaningful way. A brand new addition to the O’Reilly Missing Manual series, “Facebook The Missing Manual” was the last nudge to push me into full involvement. E.A. Vander Veer’s “Facebook, The Missing Manual” is exactly what it says it is. A manual explaining how to sign up for and use the social networking site Facebook. Not very long ago Facebook was relatively unknown outside University students and those who knew them. Now it is reported to have over 64 million users world wide. As that number has grown, it is inevitable that some of those users could use a manual to help them to navigate the site. This is who I think some of those folks might be and how I think the book might help them.